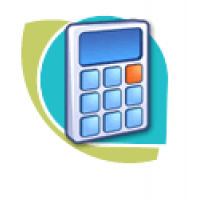 This training programme covers the basic bookkeeping and payroll terms and concepts, shows how to deal with basic bookkeeping and payroll documents and how to use them in a manual accounting and payroll system. Completion of annual IRP 5, IRP 6 and IT 3a documents, EMP501 and VAT201 return using both manual the manual submission system and E-filing. This lesson will familiarise you with the rules of the double entry system, the trial balance and yearly cycle, the general ledger cycle, the bookkeeping function and the complete books of a company. This lesson will show you the duties of an employer, the calculation of normal time and overtime, the different types of leave and their accumulation, and the recording of employee records. This lesson will help you to understand the statutory registrations, the VAT registration procedures, the Skills Development procedures, the Unemployment Insurance Fund procedures, PAYE in a nutshell, and the Compensation for Occupational Injuries and Diseases Act procedures. This lesson will explain gross earnings vs. taxable earnings, the calculation of the tax on an annual bonus, the difference between PAYE and SITE, and how to complete an IRP5 certificate. This lesson will explain the wage and salary journals, how to incorporate additional payroll creditors, and payroll for wages. This lesson will explain the differences between morals and ethics, the roles of professional bodies in accounting, internal controls for accounting records, and the ethics in taxation.